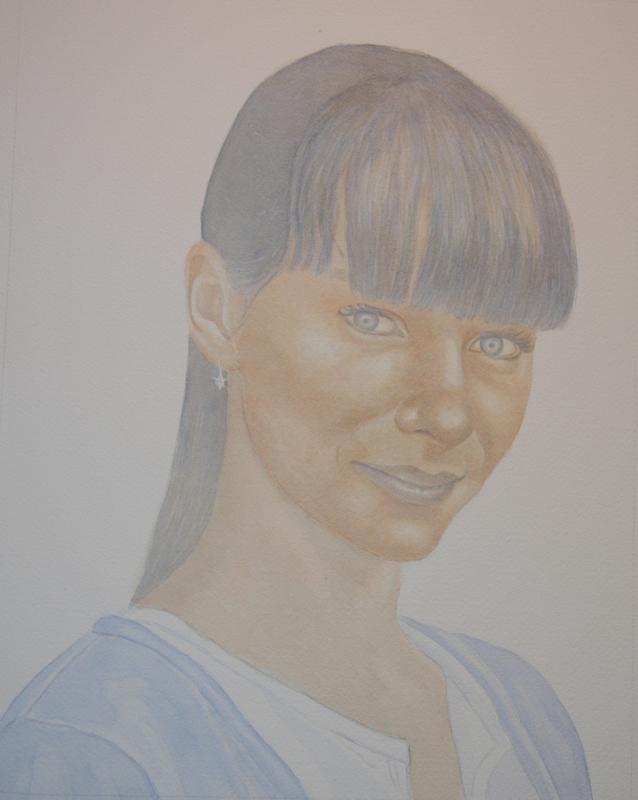 I was not happy with the way the flesh tones were going afer the last post, sigh, so I started the commission over and am much happier with the way things are progressing. The flesh tones have been painted over the grisaille in very thin layers to cover the layers below while still allowing the light to come through. This layer allows me to further model her features while adding a warm glow to her skin. Her neck has been left a little less resolved at this point as I will build up the color with a cooler, more bluish layers which will also be applied to her face to even out her skin.